Finally we have hit that important month, the month where the end of it is going to bring an overwhelming feeling of nostalgia to PlayStation owners worldwide. The 27th of June marks the release of one of the most anticipated remastered titles ever, Crash Bandicoot is going to make a very welcome transition to PS4 in the form of his original 3 adventures from his PSone days. I owe a lot of my love for gaming to Crash, as a youngster he was one of my very first games on my PlayStation, I couldn’t get enough of the loveable bandicoot. I found him to be charming in his own strange way beyond words, the orange fur, those blue shorts, the insanely big eyebrows. Crash made an impact upon becoming one of the play stations biggest ever mascots.I have been waiting for a new Crash game for years, yet I was beginning to lose hope, I was beginning to think that perhaps there was no way back for our furry friend, that he had been lost amongst all the new heroes paving their way into games and our hearts. But at E3 last year my dreams were made a reality as Sony walked onto the stage with a shadow of the one and only Crash Bandicoot, when that music started playing I completely lost it! I felt like a kid again, god knows how I am going to feel upon actually gripping my controllers controlling Crash through those island levels once again, to ride a hog through one of the best Crash levels ever HOG WILD! Oh and I have to give a small shoutout to another one of my favourite ever levels, Tomb Waider in Crash 3 Warped, it was so much fun going through a tomb in ancient egypt avoiding the mummies, beetles and rising water, the fact that it pays tribute to another PlayStation icon Lara Croft is just the icing on the cake. Having the opportunity to go back through these amazing levels with enhanced graphics in 4K is nothing short of brilliant. I’m sure it’s not just me that is feeling the effects of nostalgia at the thought of reliving three fun adventures with a nice variation in levels, ranging from the different environments to the different types, for example riding a polar bear in Crash 2 to swimming under water in Crash 3. That’s something that naughty dog got absolutely spot on, the variety in levels helped to keep the games fresh, to keep them from becoming too same old. It is that very variety that is going to make those 3 journeys a joy to experience again, I predict all three to be finished by me in just one weekend, perhaps one day if I can give myself the whole day to relive my childhood. I make a promise to myself now that I will platinum those games (even if it will take me a year…). 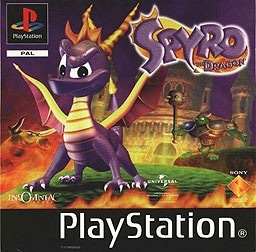 I’ll tell you something else I am hoping to come from this release, a Spyro the dragon remastered trilogy, the second Spyro game is one of my all time favourites, the entire experience was fantastic and it was followed by an equally epic game in the form of year of the dragon, I still remember those areas where I could ride a skateboard, a dragon on a skateboard need I say more. While I do give an edge to Crash, Spyro is another video game legend that deserves his first 3 adventures to become immortalised with a graphical overhaul. Just like with Crash there are several different characters from Spyro that brought something to the table, hunter was always one of my favourites and I’d be just as excited to see him in 4K as I would Spyro. Honestly I wouldn’t be too surprised if it was already in the works, just being kept under wraps for now. I think with the anticipation and hype that crash has received it would be safe to say that our favourite dragon would receive a similar welcome. I have a feeling that this could pave the way for other trilogies besides Spyro, Sly Cooper for example. I know he made his debut on the PS2 and those got an overhaul for the PS3 but again I find myself thinking about just how amazing his first 3 adventures would be capable of looking like with today’s graphics, Sly has also always been very popular I’m sure there are plenty of die hard fans who would pick up the original trilogy again for PS4. The Ratchet and Clank remastered game was a huge success proving that there is still a place for the PS2 legends. While this could be me maintaining hopes of a further miracle I would love to see a remastered version Crash Team Racing, one of the best racing games ever for me. It was so much fun, even now I can still turn to my PSone throw the disc in and race to my heart contents. I know many people would consider Mario Kart to be their favourite racing game besides those die hard racing fans that would play Forza, but for me personally I prefer the Crash Bandicoot universe, I prefer the diverse characters that Crash has to offer. The fact that I am able to drive a kart as a cute little Polar bear is a welcome bonus, see I didn’t simply play as Crash, no, I enjoyed playing through as the various different characters. I enjoyed the various different boss races, I can only imaging how stunning those race tracks would be capable of looking should they get 4K treatment the first 3 games have received. The battle mode of this game was a lot of fun and could be played with up to 4 players, just imagine having that battle mode online today, it would have a lot of potential. I for one would love to get behind the wheel and take on a lot more than just 3 other people in an arena where I could shoot rockets and bombs at them. You pretty much listed off all of my favourite childhood games in this post; Spyro, Sly, Ratchet and Clank- so many good memories! I am so excited for Crash Bandicoot, I spent countless hours as a kid playing Crash, especially Team Racing. Did you ever play the most recent Uncharted game? You got to play Crash in that! I owe so many memories and my love for gaming to those characters! So am I, I’ll be getting it soon as it’s released! 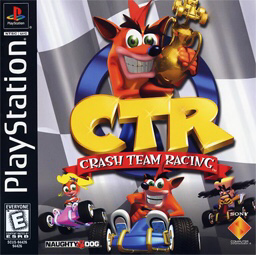 Team racing was my favourite but I also loved Crash bash too. Yeah I did, it was a nice surprise, I kept replaying it until I got the high score!